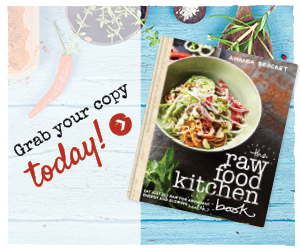 We want you to be in love with raw food so much that transitioning into or maintaining a raw food diet is fun and easy! We want you feel so motivated to incorporate your new healthy habits so you can look and feel amazing in no time, that its a no brainer to try a raw food diet. That’s why I have put together two carefully crafted and delicious raw food diet plans to make your going raw journey a magical one just like mine! This 7 Day Raw Food Diet Plan is designed for people who are curious about going raw, not sure how to start and need some guidance, recipes, and a meal plan to get going. 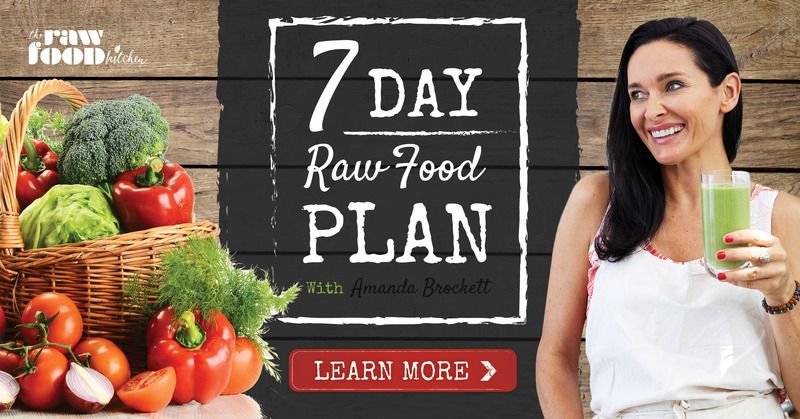 Plus this 7 Day Raw Food Diet Plan has lots of awesome bonus video content from me to help keep you feeling motivated and excited to try all the yummy recipes! 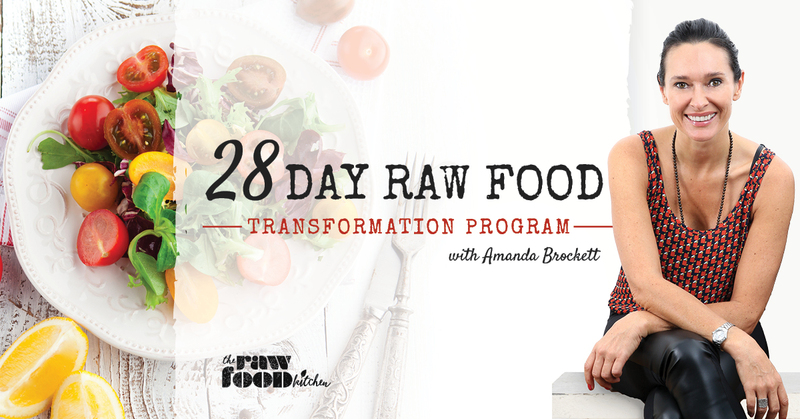 This raw food program is for people who have dabbled in raw, loved the way it made them feel, and want to delve a little deeper, or maybe just want to dedicate a full month to detoxing to feeling great and setting themselves up for a more integrated raw food lifestyle. Each week you receive weekly meal plans, weekly recipes, shopping lists, weekly informative modules, bonus recipe booklets, daily journal, meditation file and bonus videos from me. We take you from a Standard Diet to a Fully Raw diet in Week 4 so you get to experience the amazing benefits for yourself! This Program is literally life-changing! Join thousands of others who have used this raw food diet plan and feel supported in their journey. Find out more here…. As raw food becomes a part of your life, the benefits you experience can be extraordinary – feel more relaxed, experience easy weight loss, have higher levels of energy, feel generally healthier and strong and much more! I have worked with thousands of people in helping them transition into a raw food diet, and not only that, helping them make it a part of their lifestyle for optimal health and well-being. Through my own personal journey of healing with raw foods, I know all the tips and tricks that help make it easy and successful for you. Please note all of our raw food diet plans and programs are raw vegan, our recipes are gluten, wheat, dairy and refined sugar free!